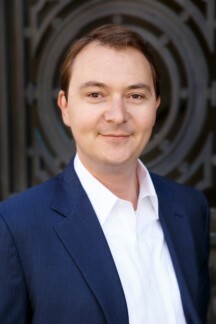 The Daily Journal recognized David as one of the Top 40 attorneys in the state of California under the age of 40, and he was also honored in Law360’s nationwide list of “Top Class Action Attorneys Under 40.” For the last seven years, he has been rated by his colleagues as a Northern California Super Lawyers Rising Star. David is frequently called upon to discuss emerging issues in complex litigation. He has twice been selected to serve on Law360’s Product Liability Editorial Advisory Board, advising on emerging trends and important issues impacting product liability cases. He also contributes his insights and commentary to Consumer Law Watch, an online publication analyzing developments in the law of consumer class actions. Before entering private practice, David served as judicial law clerk to U.S. District Court Judge Keith Starrett and U.S. Magistrate Judge Karen L. Hayes. In a class action alleging that Ford sold vehicles despite a known safety defect, Mr. Stein twice argued plaintiff’s position before the U.S. Court of Appeals for the Ninth Circuit. In the first appeal, Mr. Stein succeeded in obtaining a reversal of the trial court’s denial of class certification. In the second, plaintiff again prevailed, with the Ninth Circuit affirming a ruling that Mr. Stein’s and his colleagues’ efforts generated free repairs, reimbursements, and extended warranties for the class. Represented investors in a lawsuit against U.S. Bank and JPMorgan Chase arising from the collapse of Peregrine Financial Group, Inc. The former Peregrine customers were seeking to recover the millions of dollars that was stolen from them out of segregated funds accounts. Plaintiffs’ efforts led to settlements with JPMorgan Chase and U.S. Bank worth over $75 million. Served as court-appointed co-lead counsel in nationwide class action involving alleged defect that caused engine seizures at high speeds. Litigation led to settlement that included nationwide vehicle recalls, extended warranties, and payments that averaged over three thousand dollars per class member. Browne v. American Honda Motor Co. Represented consumers who alleged that 750,000 Honda Accord and Acura TSX vehicles were sold with brake pads that wore out prematurely. The case settled for an estimated value of approximately $25 million. Presenter, "Determining Damages in Class Actions"
Presenter, "Mass Torts and Class Actions: The Latest and Greatest, Update on Class Action Standing"
Presenter, "Playing Defense: Reading the Long Game"
Presenter, "Motion to Dismiss – What’s Trending?" Co-Author, California Omissions Claims: Safety Required? Motion to Dismiss – What’s Trending? 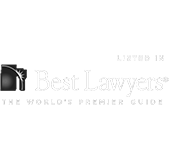 The Settlement achieved for the benefit of the Class was obtained as a direct result of Class Counsel’s skillful advocacy. You made it very easy to deal with this case and clearly your years of expertise have carried the day here. Nice work. Thank you.